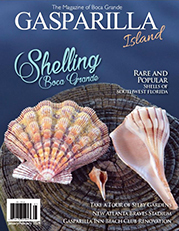 Editor’s Note: This is the first in a random series of stories about the forces that have shaped and continue to impact development and construction in Boca Grande and on Gasparilla Island. 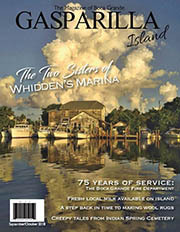 The fight over the fate of Gasparilla Island nearly 40 years ago sounds like a novel Florida writers Carl Hiaasen or Randy Wayne White could have penned: Wealthy northerners and a couple of politicians take on a colorful former athlete, a New York real estate company and a handful of locals in a skirmish over the future of a seven-mile-long barrier island in South Florida. This battle pits advocates for preservation, conservation and measured growth against those that support development and individual property rights. In real life, some say there are no good or bad guys in this high-stakes clash – just different schools of thought. But the rhetoric can be strong and exchanges sometimes heated. In the end, the fate of the island lies in the hands of 321 Lee and Charlotte county residents who are registered to vote in a November 1980 referendum called for by the Florida legislature. 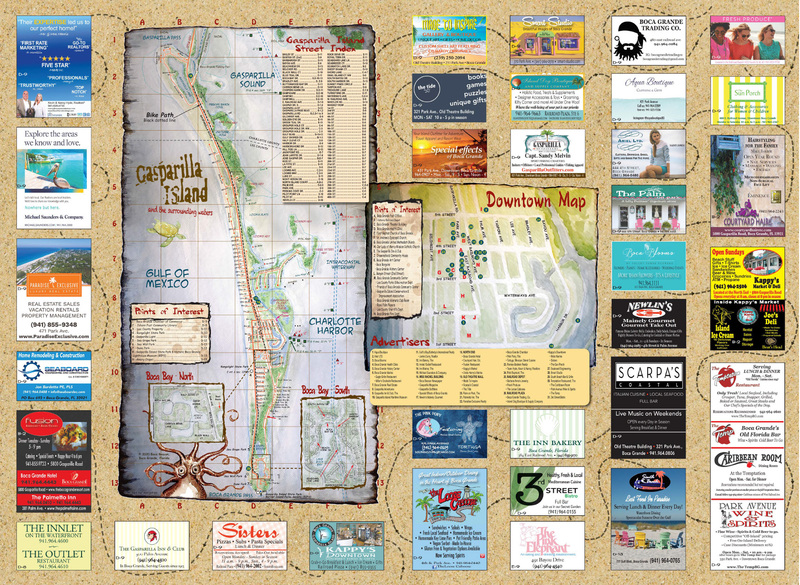 Will they cast their ballots to adopt The Gasparilla Island Act and embrace the zoning and density restrictions supporters say will retain the “small town charm” of Boca Grande? Or will they be swayed by opponents’ claims that the Act’s zoning limitations will prevent commercial expansion, forcing the growing population to do most of its shopping off-island and leaving local businesses struggling to survive? 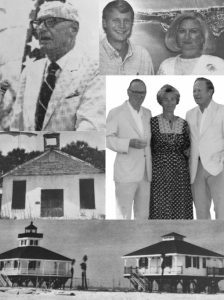 Like many northerners who adopted Gasparilla Island as their winter home, Wyman “Mac” Miller had a strong desire to maintain what The New York Times called the “sliver of serenity” that was Boca Grande. 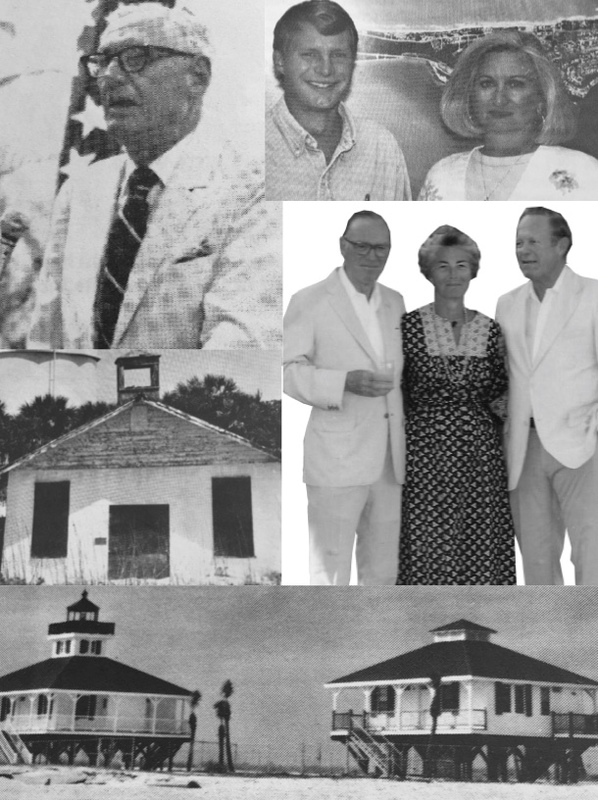 As general manager of the Gasparilla Inn, brother-in-law of Inn owner Bayard Sharp and founder of Miller’s Marina, the Minnesota native had more stake in the island’s future than most. 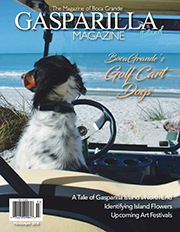 What Miller told his fellow members of the Gasparilla Island Conservation Improvement Association (GICIA) – shortly after it was founded in 1971 – was that Boca Grande faced an uncertain future unless something was done. Miller worried that the existing zoning regulations had the flexibility to allow overwhelming, out-of-control growth on the island. As it was, zoning provided for some high rises, construction of 7,000 dwelling units and a potential build-out population of 16,500. Miller had good reason to be concerned, says Sue Shaffer, local artist who moved to Boca Grande from nearby Useppa Island in the late 1970s. 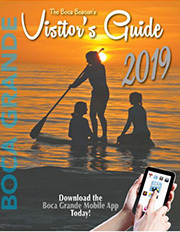 “A lot of people were starting to notice Boca Grande even though much of the downtown was still boarded up and it was primarily a working and fishing community. “Folks like Mac Miller, Bayard Sharp and Barney Koren (GICIA president for six years) had a lot of compassion for the island and were concerned about the growing development. They didn’t want what was happening in Sanibel and Longboat Key to happen here,” says Shaffer, who served as GICIA secretary from 1979 to 1982. Development was not the only issue affecting the island. Control of Gasparilla was divided among Lee and Charlotte counties. Whether because of territorial jealousy, tax base concerns or some other issues, neither seemed inclined to work with the other. Miller, who was accustomed to dealing with local and state officials in his role as Inn manager, reasoned that the best way to unite the counties was to have the state step in and essentially force them to work together. It was an unprecedented move but not a surprising one for a savvy group like the leaders of the GICIA, says island resident Mary O’Bannon. These condos seemed an affront to that ideal, Lowe explains. Even though the permits for the condos eventually were granted, the GICIA asked the county to defer the applications for a couple of months. They wanted to undertake a study that would determine how much growth the island could endure without losing its quality of life. A consulting firm, Adley Associates, was hired and worked with a team of planners, lawyers, an ecologist and an economist. 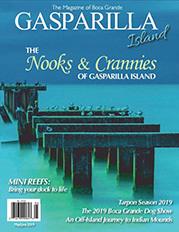 Their findings, summarized in the GICIA history, were ominous: “If regional population growth, present real estate trends, and allowable zoning densities were to determine land use on Gasparilla Island, over 6,000 units – 10 times the present population – would be built. 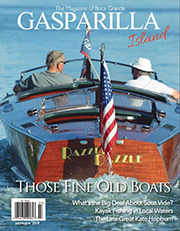 The character, heritage and quality of life that now characterizes Gasparilla would be completely lost. 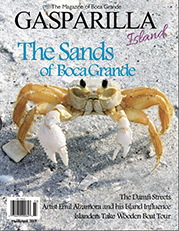 “If, on the other hand, total growth can be held to about 2,500 units for the whole island, the economic base could be kept intact and Boca Grande would remain a village and keep its uniqueness and charm.” The Adley Report was adopted in 1979 by the Lee County Planning Department as the basis for its own comprehensive land use plan for the island. The report also made the case for a state law to put teeth into zoning and density restrictions. Under the GICIA’s direction, legislation was drafted in the Ft. Myers office of attorney Arthur Knudsen and in the Punta Gorda office of Charlotte County lawyer Leo Wotitsky. Guy Batsal, an island attorney working for Wotitsky, was also involved. The GICIA shared the finished product with local lawmakers Frank Mann, a Democrat from Ft. Myers who served in the legislature from 1974 to 1986, and Republican Senator Warren Henderson, who lived in the Venice area. 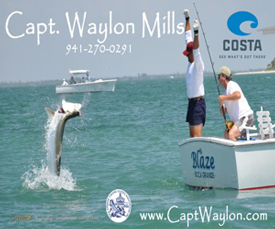 Mann, now a Lee County Commissioner, was immediately on board with the concept. “The speed of growth [in this area] has always been a paramount issue for me. The question was what we would leave to future generations if we didn’t get control over it,” he says. In a time when “Democrats and Republicans could work together,” Mann remembers that he and Senator Henderson were determined to get the legislation through their respective bodies in Tallahassee. They got off to a rocky start. When a bill failed to emerge in the House, Senator Henderson amended a Senate proposal regarding the Ft. Myers Beach Library Board. 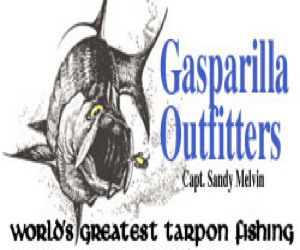 He struck the language in that bill and substituted the Gasparilla measure in its place. Sunset Reality, the primary landowner in Charlotte County, launched a strong lobbying effort against the bill. 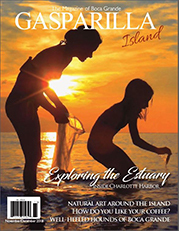 Nonetheless, on May 9, 1979 the Florida state legislature passed the Gasparilla Island Historic and Conservation District Act in what had been the library bill. Democrat Governor Bob Graham signed it into law. But the 1979 Act was short-lived, as were its provisions for an island-wide historic district and citizen review board. Two months after it became a Florida law, the Act was challenged as “unconstitutional” and thrown out by the courts. The victorious complainant was Sunset Realty, explains Misty Nabers Nichols, GICIA’s executive director. Circuit Court Judge James R. Adams ruled that the referendum provisions of the Act were unconstitutional because they permitted non-resident property owners to vote in the election of a review board. There were two unsuccessful appeals, Nichols says. Opponents were delighted with the court verdict. Those wouldn’t be Harper’s last words about the issue. On Dec. 6, 1979, the GICIA was dealt another blow when the Florida Supreme Court upheld Judge Adams’ ruling in Sunset’s favor. At the time, lawmaker Frank Mann told The Beacon that the Supreme Court’s actions did “not come as any great surprise although I am still very disappointed in the outcome. Mann wasn’t the only one frustrated with the court’s ruling. It was also back to the drawing board for the GICIA, which had no intention of giving up on its plans for protecting the island. 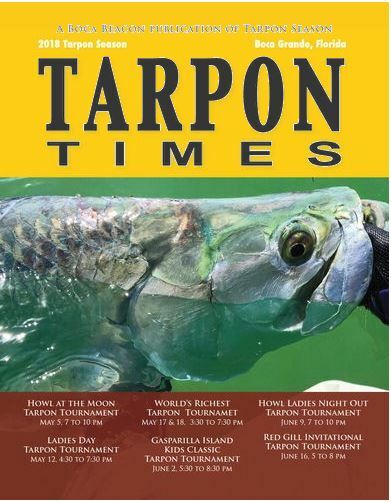 Next week: The Gasparilla Island Act resurfaces in the legislature as the rhetoric between opponents and supporters heats up. See part two of this series in next week’s Boca Beacon. Older PostNew boardwalk officially open!